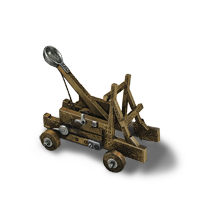 Seen often with at least two to three cities (90K mine and 90K lumbermill/farm and 90K magic city/Armory)Built into the trees, as they have the advantage of building into them at a reduced tree and stone cost(only if city image size is lvl 2 or lower). 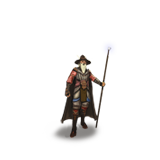 They rely heavily on Magic science for for casting spells and for their most effective units attack strength, the Archmage (3Xmagic science level). 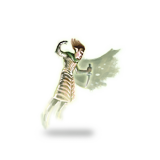 Often capable of getting Magic level 5 for OOP while being able to get basic magic needs as well defending when orcs are present. Once taken over by another unit not played by an Elf they lose all building privileges in select city once taken back. Elf has the cheapest offense unit per gold for OOP being the Ghost costing only 50g per OP. 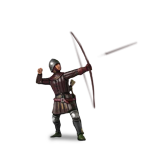 It also has the best defensive level 2 unit being the Archer with a whopping 10 Defense. 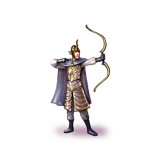 As you progress into mid-era with elf you are going to want Archers housed in all important cities as well as some Spellweavers, Also if you are still engaged in combat you should be training Riders by now. 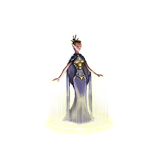 Also you should achieve level 8 Magic by this time while still aiding your kingdom with magic and Blocker Defense. Another 90k mine should be settled to improve income. 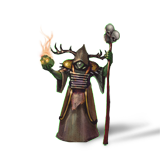 At this point in time Elves should start to accumulate resources for level 9 Magic to cast Armageddon and get their Archmage army in optimal condition. As you reach the end of the era with Elf you are going to want to cast "Armageddon" to end the world on your terms (preferably 240 hours before you want the era to end). All of your cities should be maxed out at this time(2-90K mines, 90K lumbermill/farm and a 90K magic city/armory) while keeping up with the construction of Magictowers. You should be training Archmages with 95% of your income and Spellweavers with the other 5%. Elf end era Science should look something like this: Magic 9 Military 7 Mining 6 Medicine 5 Farming 5. Often seen with a multitude of cities, (90k mine, 25K mine, 40k farm, 40k lumbermill and a 90K armory) they are quick economy earners. 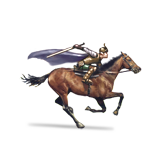 With more experience and activity, you are capable of training level 5 troops right off the bat. The quick Adventurer EXP can be a game changer. In most cases, level 3 spams are Ideal. 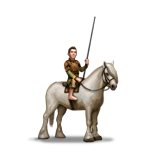 As the Pony Riders are 6/4 mounted troops that are extremely cheap. In some cases level 2 spam is required to survive(not advised). 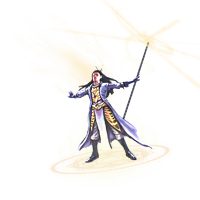 Science factors depending on how they play, In most cases Magic science is the way to go as Adventurers can find sciences and you also can have the choice of Steal Science. 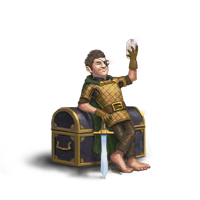 As you reach mid-era with Halfling keep in mind that they are natural economy earners and build faster then other races, So settling a couple of 40K mines will help in the long run. 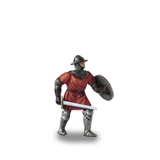 No matter what you have trained for OOP wars You should start Training Adventurers now, Also keep in mind if your Adventurers have experience then they may find treasure(Sciences or gold[1000X# of Adventurers]) as long as the army is not sitting in your or an allied city. 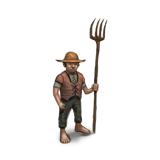 With the extra attack option "Steal Food"(easier then siege) If used on farming cities will start to come in handy now as food prices rise. Also keep in mind you should have Farmers in all your farming cities. 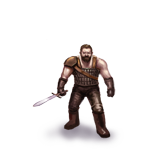 As you reach the end of the era you should have a Horde of Adventurers, Providing that you got EXP early enough. At this point in time all your cities should be maxed out(25K mine, 2-40K Mines, 90K Mine, 40K Farm, 40K Lumbermill and a 90K Armory) and you should be making a fortune off the rising food prices. Your Sciences should look something like this: Magic 9+ Mining 9+ Military 7+ Farming 20+ Lumber 15+ Medicine 5 assuming you have been finding sciences all era with your Adventurers. Often very difficult, but if you do play Dwarf and stuck in an OOP war situation keep in mind they do not require tree for building, but will need tree for Military sciences. Just building one 90k Mine city and one 40K Armory, Built into the side of mountains as they have that advantage at a reduces stone cost(only if city image size is Lvl 2 or lower). 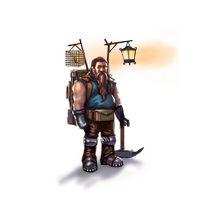 Mining Science is often the best course when playing as Dwarf as economy is needed very much to train the expected amount of troops as they're very costly to train. Although once a mountain Dwarf city have been taken by another race, they lose all privileges of (re)building the city once given back. 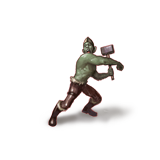 Dwarves should begin training Hammerthrowers for OOP as they are 5/6. 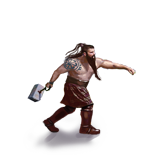 As Dwarf moving into mid-era war you will want to settle another 2-90K Mines, also you should aim for level 9 Mining by this time, Also Dwarfs should start training Axemen now that they have their Mines full of Cavemasters to prepare for a long lasting war. 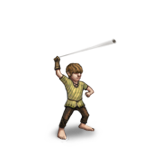 Dwarves have a natural resistance to magic so they may not need as many Runemasters for defense as lets say a Human. 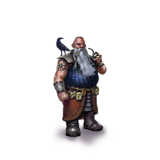 Also Dwarves only pay half Building upkeep and receive a bonus Stone production compared to other races. 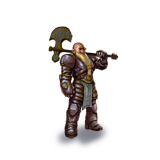 The end of the era is prime time for Dwarves as they have the highest incomes at this point in time so they can amass giant armies of Axemen. By this time you should have all your cities maxed out(3-90K Mines and a 40K Armory) with Cavemasters in all of your mines. 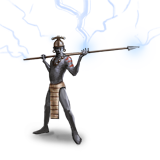 You should also have a decent Axemen army by now. Your sciences should look something like this: Mining 10 Military 7 Medicine 6 Farming 6 Magic 1. Often the most highly used effective race to play for warmongers. Seen often having 3 cities, 25K Mine, 14K Lumbermill with a 6K Armory in the middle of the enemy core. 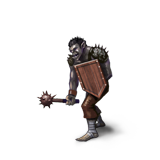 Orcs are capable of 1/2 training times with no Armories and 3/4 of the training time with full Armories. 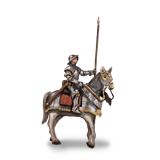 Capable of spamming Gaia beyond the limit of Human population if done correctly, as well as being able to Force March(Move twice as far) Although they lose morale and units doing this, It however is great in short strides from city to city. The only thing you need to watch out for as orc is the enemy will most likely spam Guardtowers. Keep in mind for OOP Orc's should only Plunder cities and "Burn and Destroy" to ensure victory. Orcs have really inexpensive Military sciences allowing them to achieve Magic Lvl 6 Before or after they achieve their designated high Military level. 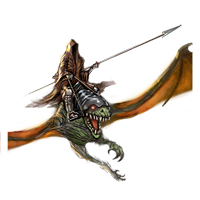 With the huge upkeep cost of spamming Gaia Orcs Should switch straight to Nazgul immediately after OOP wars. Moving into mid-era with Orcs you should switch directly to Nazgul to ensure your army upkeep does not become too much of a hassle. By this time you should have level 8 or 9 Military science. 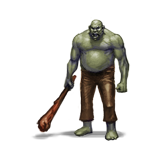 Orcs should settle a 90K mine with some Warehouses to prevent any heavy enemy plundering. 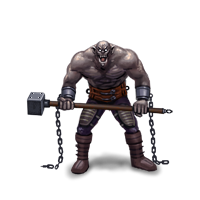 Orc's are the ultimate tools for war as pure Nazgul ignore Walls(not advised), You can also burn and destroy cities you might not be able to hold and any city an Orc is preparing to attack loses morale each turn. As the end of the era approaches the Orcs start to dominate with their Nazguls. You should have all of your cities maxed out by now (90K Mine, 25k Mine, 14k Lumbermill and a 6K Armory) and be training heavy amounts of Nazgul to gain a formidable army. Orc Sciences should look something like this: Military 9 Magic 6 Medicine 6 Mining 5 Farming 5. Trolls often build 3 cities. 40K Mine, 40K Lumbermill/Farm city and a 40K Armory. 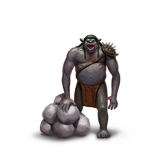 If done right Trolls have the ability to amass a nice Hobgoblin army for OOP,Trolls should begin training troops roughly 20 ticks before OOP to obtain optimal troop numbers for defending or attacking. Military Science is extremely common among Trolls. 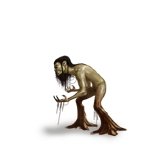 Most people are unaware that Trolls have one of the cheapest Magic sciences and their Mages are 1/0. Magic Weapons is not a hard spell to obtain by OOP as Troll. 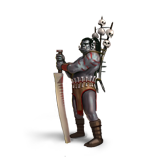 After spamming Hobgoblins for OOP trolls should switch directly to Berzerkers as their special ability makes it easier to "Army of the Dead" themselves. I often go Troll Battlemage. 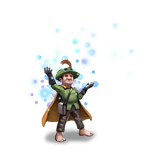 Trolls can achieve level 4 or 5 Military or Magic science for OOP depending on your play style. As you enter mid-era with Troll you want to settle a 90K Mine. You should be amassing a nice Berzerker army early while still being able to finish your economy. At this point in time you can reach level 7-8 Magic as well as 5-6 Mining or Military(depending on play style) Keep in mind Trolls should be able to cast Army of the Dead on themselves. As the end of the era approaches Trolls also begin to dominate with their Berzerker armies assuming you can get "Army of the Dead" cast on your army periodically. By this point in time you should have all your cities maxed out(90K Mine, 40K Mine, 40K Farm/Lumbermill and a 40K Armory) and be focusing on training a huge Berzerker army. My Troll Sciences often look something like this: Magic 8 Mining 6 Military 5 Farming 5 Lumber 3 Medicine 5.